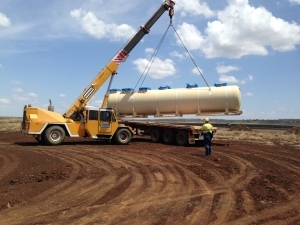 True Water Australia has secured the contract to supply the Sewerage Treatment Plant to the first and largest privately owned public airport in Australia. Wellcamp Airport and Business Park is located just 15 minute’s drive from Toowoomba’s CBD and is ideally suited to service west Brisbane through to Darling Downs, the Surat Basin and the growing community of Toowoomba. True Water will provide a Kubota Advanced Sewerage Treatment Plant which is completely scalable. Stage one of the plant will deliver 100kL of advanced treatment and as the airport and business park grow, the plant will increase in 100kL stages. The Kubota plant is manufacturer in Japan and sets the highest standards for performance, efficiency and quality. The completed business district will cater for approximately 2,500 workers with the Kubota Plant being required to process up to 500,000 litres of wastewater daily. “The Kubota system allows the flexibility to grow with the project and reduces the initial costs of getting the project off the ground” said Jim Mahoney, Managing Director of True Water Australia. Wellcamp Airport and Business Park is the brain child of the Wagner Family, a long established entrepreneurial family based business established in Toowoomba in 1989. As leaders in the region, the company focuses on providing a sustainable business with quality products and high levels of service. 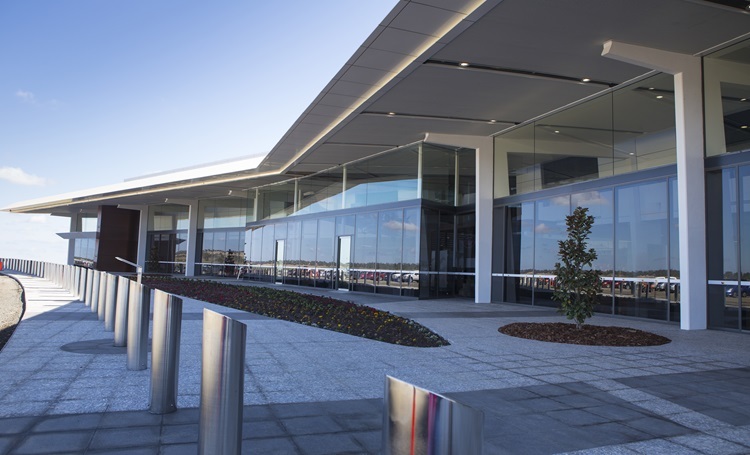 Wagner’s intend to make the complex the business hub of Toowoomba and regional Queensland. The airport will receive regular passenger flights with large jet capabilities comparative to Brisbane and Sydney airports. One key focus of the Wellcamp Airport is to satisfy the needs of the Fly in Fly out miners that work in the region and currently must use Brisbane or Gold Coast, which can add upwards of 2 hours to a commute. The Business Park will have a focus on manufacturing, aviation, logistics, transport, mining, corporate offices and factory outlets and will contain regional offices for many of the most established and active companies west of Brisbane. Construction of the complex is underway with the installation of the sewerage treatment services expected to be completed early in the New Year.